There’s no donkeys in Slovenia, but plenty of donkey trails! 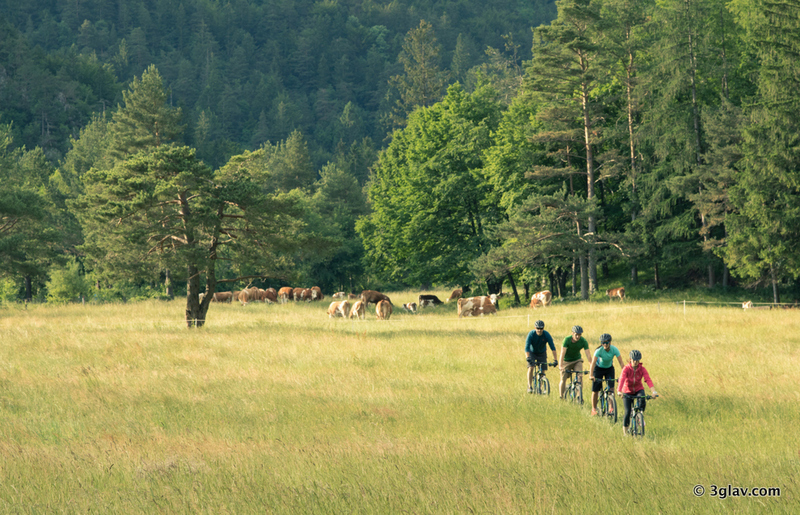 Area around Bled, Jelovica and Karavanke mountains is a perfect playground for all bike lovers – from easy countryside sightseeing to riding diverse forest trails as well as challenging alpine climbs & descents. We organize guided MOUNTAIN BIKE TRIPS tailored for any skills with best mountain bikes in town! 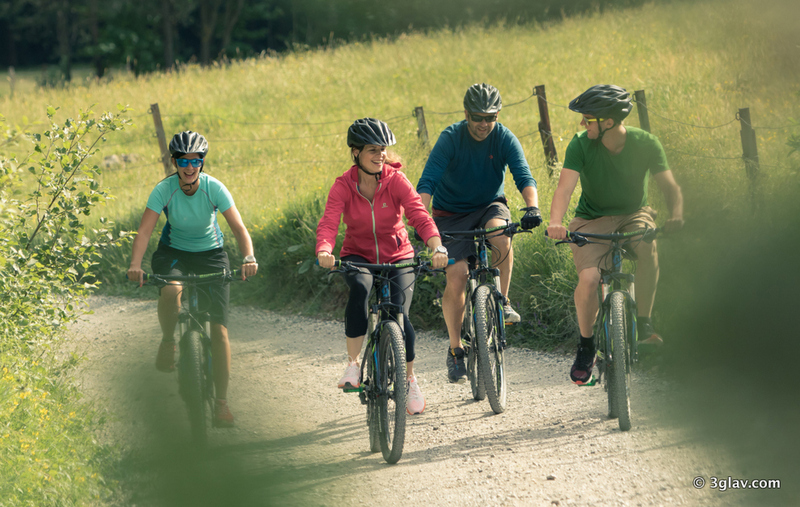 On our guided tailor-made 3-4 hours mountain bike tours our experienced local bike guides take you on a scenic routes that fit your preferences and skills (easy/moderate/advanced with nice fun & flow single trail rides or more sightseeing orientated). We try to never mix different skilled riders, unless they are together in the same party. 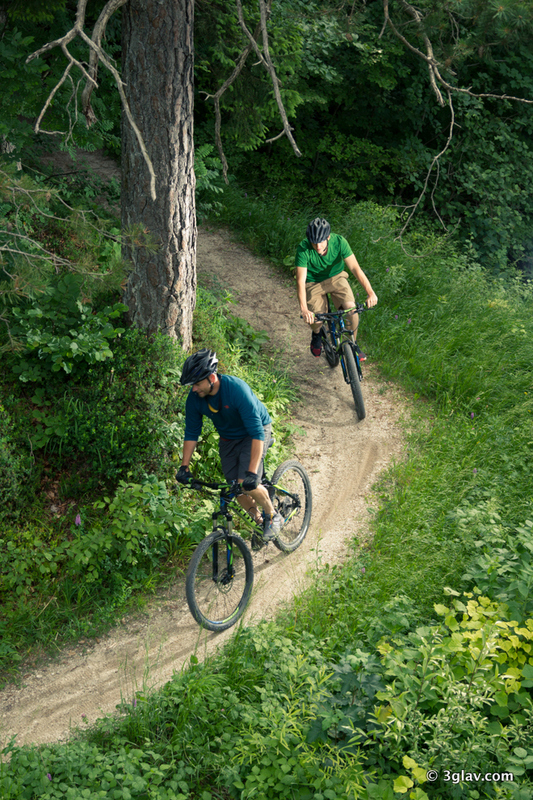 Mountain bikes and helmets are included in the price of guided mountain biking trips. We have best mountain bikes in town – latest mid-range SCOTT models (front suspension, disc brakes, 27.5″ wheel size & Deore specs). Please contact us via e-mail or web form for longer biking trips or larger groups well in advance. 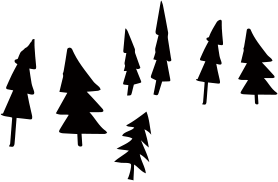 Mountain bike tours departs at designated time and it’s recommended to be at meeting point no earlier than 5 minutes before departure and no later than exact departure time. 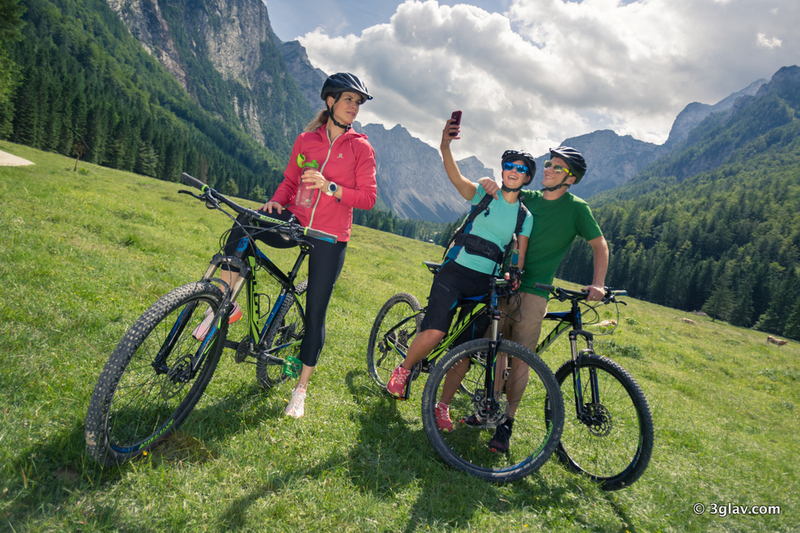 A minimum of 4 guests per mountain biking tour is required. There is a possibility of cancellation after confirmation if there are not enough people to meet the minimum numbers. 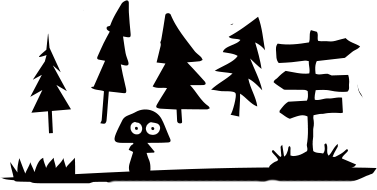 If activity is cancelled, you will be offered an alternate date or a full refund. Most of our activities operate on daily basis in our high season. All our tours and adventures including mountain biking trip don’t have any kind of firm or certain routes outlined and itinerary/schedule are made by our local, English speaking, experienced, professional guides who decide spontaneously according to the weather, road, trail and other conditions, type of the group and special events in order to provide safest and most fun experience available for each day. From a little green store in Bled comes some marvelous and entertaining experiences We are not young but young at heart is all it needs. The Rafting trip was perfectly safe yet exhilarating! Thanks to the three young Apollos (particularly Josh) that captained the rafts down the river for our nearly two-hour experience. All gear provided, but wet will you get. FUN! Then they send out pictures of the trip, all part of the service. 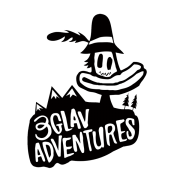 We also did some mountain biking with 3GLAV and the same applies: great service, good prices and excellent equipment. We missed the balloon ride as the weather got the better of that. And that is just some of what they can offer. Highly recommended.